Brand New Indoor Court Now Available! 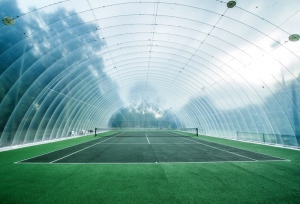 Hayne Barn Indoor Tennis provides one indoor tennis court and one outdoor tennis court all year round which are available for members. We cater for all ages, members and non members and will be introducing local competitions and coaching for those who are interested. We are a friendly and sociable club where everyone feels welcome.